PORTLAND, Maine - Dec. 2, 2018 - PRLog -- Wild things return to Richard Boyd Art Gallery on Friday, February 1 at 10:00 a.m. This wonderful benefit exhibition for the Maine State Society for the Protection of Animals (MSSPA) features wildlife and animal theme art, depicting animals in a variety of settings from farmyard scenes to animals in their natural habitat. The exhibit is comprised of paintings in a variety of styles and mediums by gallery artists' Carrin Culotta – oil; Kevin Daley – oil; Julianne Garvey – watercolor; Scarlet Kinney – oil, and pastel and watercolor; Felicity Sidwell – oil; and limited edition bronze sculptures by Charles Ellithorpe, DVM. 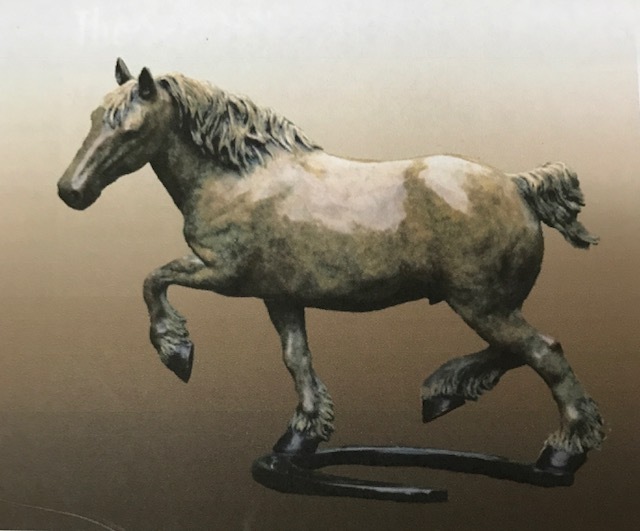 A portion of Richard Boyd Art Galley's net income from the sale of art works featured in the exhibit will be donated to the MSSPA Buy-A-Bale campaign to help feed horses at River Road farm in Windham, Maine. The Society receives no local, state, or federal funding. MSSPA relies on funding received from individuals, businesses, bequests, grants, and fundraising activities to offer their services free of charge. This marvelous nonprofit organization "founded in 1872, uses its resources to provide direct care, rehabilitation, and placement of horses who have suffered abuse. MSSPA promotes the humane treatment, training, and use of animals through education and hands-on experience. The Society is open to the public daily from 1 PM – 4 PM." To learn more about MSSPA and the loving care the horses receive while at their River Road Farm or to make a donation to this great organization please visit http://www.msspa.org . The exhibit is on view free of charge between the hours of 10:00 a.m. and 3:00 p.m. every Friday, Saturday and Sunday from February 2 through February 28, 2019. Additional days and times by chance or scheduled by appointment. For more information about the exhibit contact Richard Boyd Art Gallery by phone at (207)-712-1097, via email at info@richardboydartgallery.com or visit the gallery's website at http://www.richardboydartgallery.com . Like us on Facebook at http://www.facebook.com/RichardBoydArtGallery .